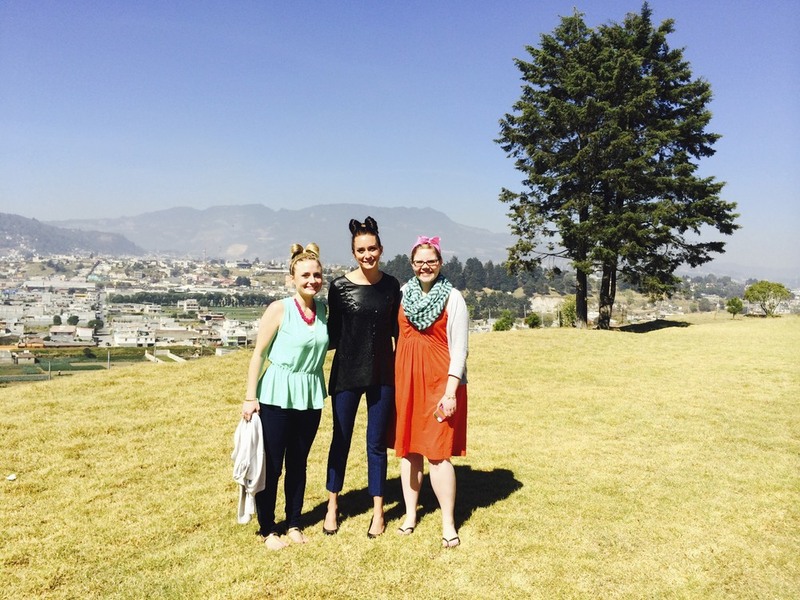 Shawn is the principal at Inter-American School in Quetzaltenango (Xela). It is a Christian school serving Pre-K through 12th grade. If you click the link above you can watch a little video about the school...careful it will make you want to go there...unless it just has that effect on me! It was spirit week at school, Tuesday was crazy hair day. We found an easy tutorial on Pinterest (of course) on how to turn your hair into a bow. While we were there Laura led chapel. She did a great job and used the Jesus Storybook Bible for her teaching. If you haven't seen that Bible you should check it out. It is for kids, it has awesome illustrations and it ties every story Old and New Testament back to Jesus. At the end all of the students colored a picture with a Bible verse on it that related to the teaching. I colored one as well and had to take a picture of Flat Stanley amongst the flowers. JaNahn was tasked by a friend to take Flat Stanley on her Guatemalan adventure. I helped to "dress" him in traditional Guatemalan clothes and staged lots of fun pictures. After chapel Shawn covered for a librarian who was out for the day and read a story to one of the elementary classes. The kids loved this book. It is about interesting/dangerous traits of different animals. It was so fun to see Shawn interacting with kids. 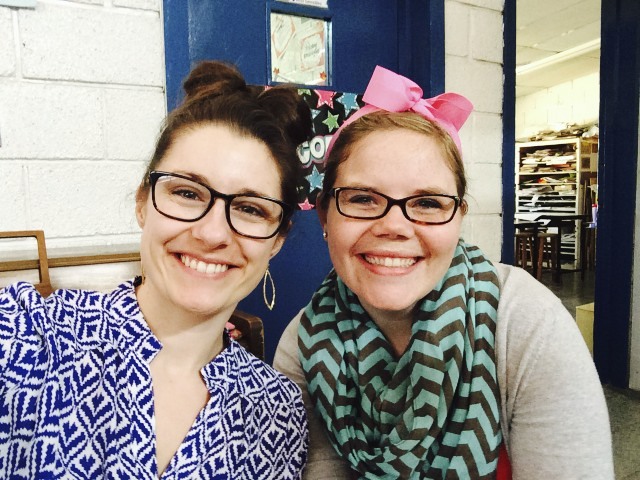 We met while working with kindergartners so this was just like old times. She had the kids acting out the animals and sharing stories. She was made to love little kids. In the afternoon I spent a couple hours covering for a 4th grade teacher that wasn't feeling well. It was fun to be in a classroom again! I was so impressed with the class. They were engaged, respectful, kind to each other and I didn't have to waste time on discipline issues. (I know this probably isn't always the case but they were really good for me!) It was so nice to just teach. It made me want to teach at this school...a little...don't get to excited(Shawn) or worried(Grandparents) we aren't going anywhere! The view outside of the school wasn't too bad either. The next day I had the privilege of teaching the first grade class. I had so much fun with them! They were incredibly sweet and well behaved and excited to learn. Simply a joy! I thought I would help spread the word for Rebecca who posted these signs all over school. Please, someone, find this girl's frog! 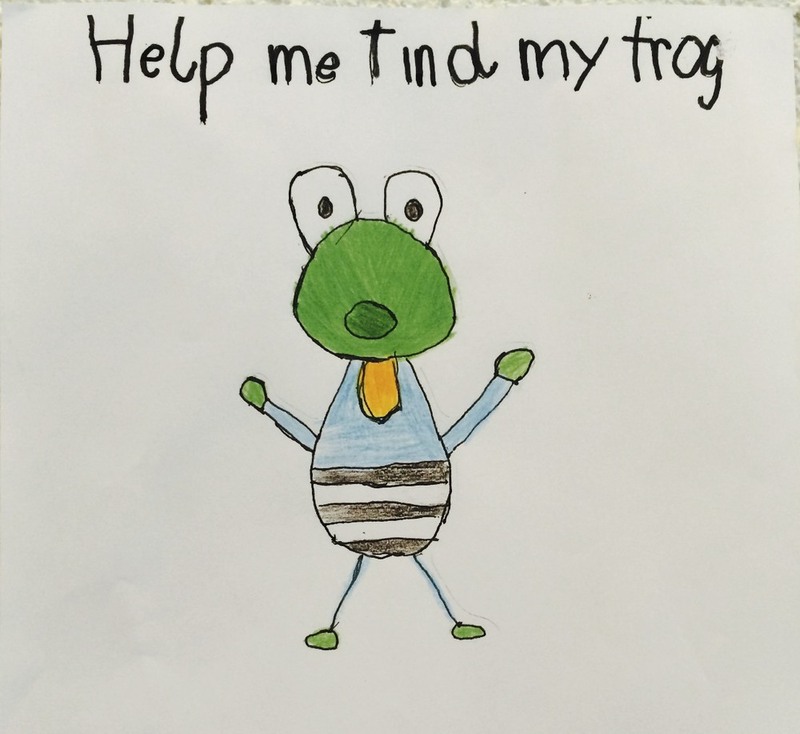 I am seriously tempted to make this girl a new frog that looks just like her drawing! Getting to be a part of Shawn's school for a couple of days was such an honor. I am so glad that I got to meet her staff and teach and play with the kids. Anytime you need a substitute again feel free to give me a call!